In an increasingly homogenous world what often best defines and sets a city apart (aside from architecture, ambiance, culture and language) is its collection of one-off shops which seek to echo some aspect of that city’s uniqueness. 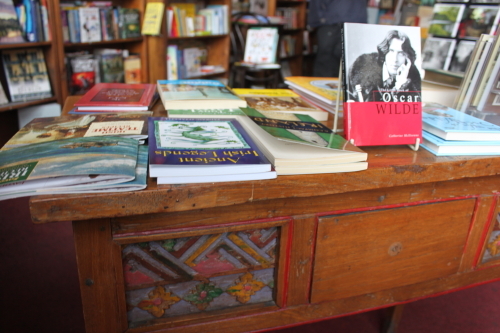 Dublin’s much loved bookshop The Winding Stair, which sells both new and second-hand books, is a gem of a shop that manages to evoke the ghosts of Dublin’s rich literary past and yet remain grounded in the 21st Century. 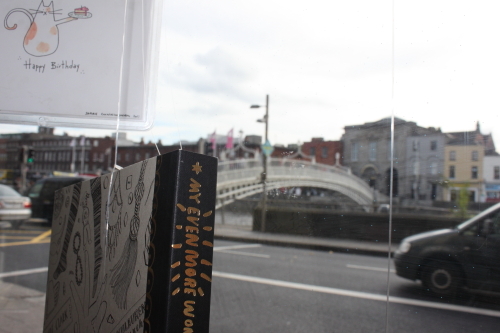 The bookshop is on the ground floor of a building on Ormond Quay, in the centre of Dublin; the equally well-loved Winding Stair restaurant is on an upper floor. The warm, welcoming and eclectic decor of The Winding Stair is a far cry from the interiors of the stores of the large bookshop chains which conform to a corporate decorating template. 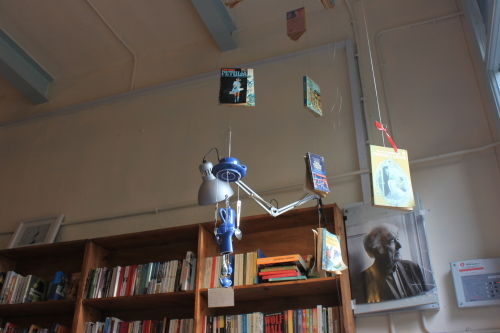 There are makeshift shelves stuffed with books set against cream walls, pieces of Edwardian furniture, mobiles made from books and crockery, twinkling chandeliers and a striking black and white photograph of Seamus Heaney. While I was in the shop I was very pleased to chat to the helpful bookshop manger Sarah Montague. It seems fitting that Sarah is both an art historian and a writer. She completed a draft of her first novel last year and has worked on revisions to it since then. Hopefully her book, which is a work of historical fiction, will soon be in print and available at The Winding Stair. 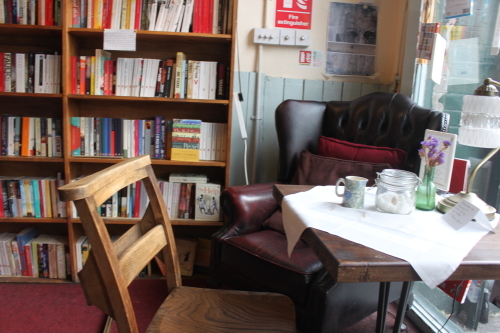 If you are looking for somewhere different in Dublin to have a coffee, to read a paper and to while away an hour or so The Winding Stair bookshop could well be an answer to your prayers. Yes indeed a perfect mix. 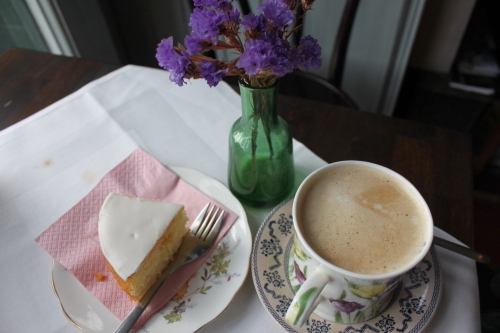 Sheer heaven–a quiet spot with a view and a cuppa and a good book (or two hundred). We’re fortunate to have a substantial used bookstore in town; it’s in the old opera house (now apartments upstairs) and filled with the same sort of loving tumbledown comforts. No cafe inside, but since there’s a fantastic old-fashioned ice creamery about three doors down, not too hard to take! When you visit us I’ll gladly take you there (both places, of course) any time! The bookstore in an old opera house sounds like an amazing place. I also like the sound of the old-fashioned ice creamery.